+ Eva Bealer Culpepper, 13 Jun 1898 - 10 Jan 1909. Chas. M. Culpeper (2-p) died May 1928 in Houston Co., Alabama. Leonia Culpepper (Mrs.) died Jun 1939 in Henry Co., Alabama. Sallie L. Culpepper, Daughter, F, Wh, 11/12, sng, AL/AL/AL. Sallie Culpeper, Daughter, F, Wh, 11, sng, AL/AL/AL. Jesse E. Culpepper, d. 8 Jul 1944 at 50 years in Alabama. E-mail written Feb 2010 to Warren Culpepper from Steven Blake Culpepper (#61162), e-mail address. E-mail written Aug 2012 to Lew Griffin from Jon Cody Holland, Phone 770 369-3757, e-mail address. Isabel F. Culpepper, 7 Aug 1844 – 12 Dec 1924. Jimmie Culpepper, 2, M, Wh, AL. E-mail written 2002 to Lew Griffin from Betty Oliver. Benjamin F. Culpepper, Jr., 18 Nov 1879 – 12 Dec 1902. Thos Brown, M, 21, Servant, S, White, NC NC NC, Laborer on farm. 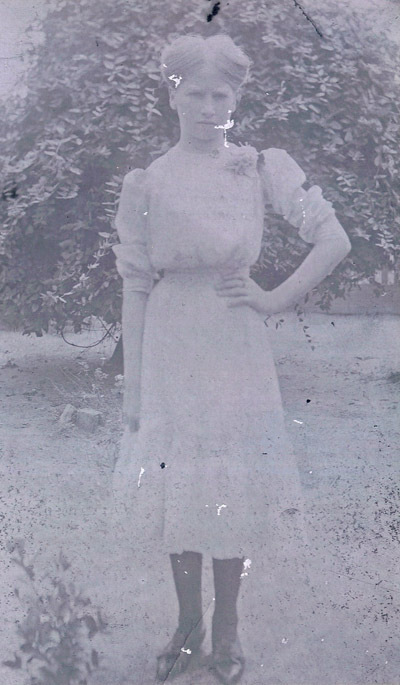 Mamie C. Culpepper, Daughter, F, Oct-1882, 17, S, TX AL AL. Isabelle F. Culpepper, Wife, F, 65, M1, md-44, ch 8/5, AL VA GA.
B. F. Culpepper, Mrs., Upshur Co., 12 Dec 1924, 40561. Lorena Bell Culpepper – 7 Dec 1883 – 23 Feb 1898. Joseph Albert Culpepper, Gilmer, Upshur Co., Texas, age 38, born 14 Oct 1879, White, Barber for self at Gilmer, Upshur Co., Texas; Nearest relative: Ola Culpepper, Gilmer, Upshur Co., Texas. Medium height, Medium build, Brown eyes, Brown hair, no disabilities. Registered 12 Sep 1918, Gilmer, Upshur Co., Texas. Lila May Culpepper, Daughter, F, 10/12, S, TX AL TX. Betty Smith Culpepper, 18 Jul 1886 – 17 Jun 1913. J A Culpepper is the father of an otherwise unidentified infant born 30 Apr 1916 in Unknown Co., Texas. Joseph Albert Culpepper, died 28 Nov 1947 in Harrison Co., TX. + Willie Culpepper, 25 Feb 1893 - 26 Feb 1893 (d/o W. W. and Elizabeth Culpepper). + Chimelier Culpepper, 21 Feb 1882 - 17 Jul 1887 (d/o W. W. and Elizabeth Culpepper). 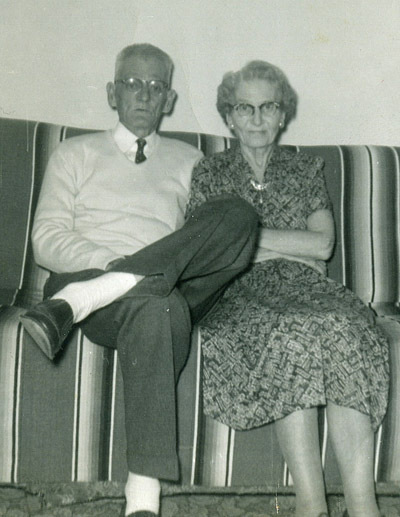 + Rossie Culpepper, 13 Feb 1900 - 13 Apr 1900 (d/o W. W. and Elizabeth Culpepper). Will* 3 Sep 1822� She made a will at Edgefield District, South Carolina, on 3 Sep 1822, naming as heir(s) Mary Culpepper and Benjamin Culpepper of Attala Co. MS.
"I am currently working on the Doulgas family history. Elizabeth Mason was daughter of John Douglas (this was established per his Will, deed gifts he gave her, and also her death announcement). I'm looking for something to prove that George Mason was her husband. I note that she and George witnessed several documents together, and that George Mason along with some of Elizabeth's brother-in-laws also witnessed documents together. Also, the Daniel Mobley that witness the will of Elizabeth Mason was her nephew (son of Rachel Ann & Cheeves). If George Mason is husband of Elizabeth - he is a legend himself and there is a writeup in the history of Edgefield on this man. I'm sharing this information with you in hopes that if you come across anything to document that George was husband that you would not mind sharing it with me." Page 198. Cites Book C, page 292, 3 Sep 1822. E-mail written Jul 2005 to Warren Culpepper from Gary Young, Centreville, MD, e-mail address. 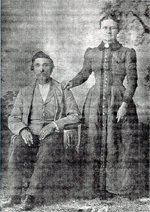 Allie Culpepper and J. M. Sanders married 19 Jun 1900 in Attala Co., MS.
Alma J. Sanders, Daughter, F, Wh, 3, S, MS/MS/MS. Etta Culpeper, Wife, F, Wh, 21, md1-2yrs, ch 0/0, AL/AL/AL. Lonnie Marcus Culpepper, RFD #1, Gordon, Houston Co., AL, Age 41, born 11 Aug 1877, Caucasian, Farmer; Wife: Mamie Culpepper; Medium Height, Medium Build, Blue Eyes, Brown Hair; signed 12 Sep 1918. Etta Culpepper, Wife, F, Wh, 29, md, AL/GA/GA. Etta Culpepper, Wife, F, Wh, 38, md@15, AL/AL/AL. Lonnie M. Culpepper died 22 Oct 1955 in Henry Co., Alabama.